Data breaches have become an ongoing problem, with hackers targeting everything from department stores to government agencies. In early September 2017, a breach was reported by the consumer credit reporting agency Equifax, potentially impacting millions of people. To protect your assets against the very real threats of financial theft and fraud, it is important to act now to secure your accounts. The following explains how to check if your identity is at risk, as well as important safety precautions you need to take. The credit reporting giant Equifax recently announced a major security breach by hackers of their web application framework. This exposed the names, addresses, birth dates, social security numbers, and other identifying information on roughly 143 million American consumers, along with the credit card numbers of more than 200,000 people. While the breach was reported by the company September 8, 2017, it apparently occurred throughout the months of May to July. In the aftermath of initial reports, chaos reigned as consumers flocked to the website. Problems with website links temporarily sent visitors to fake Equifax sites. There were also concerns over the free credit monitoring service the company was offering. Wording in the agreement appeared to waive consumer rights to lawsuits holding the company liable for any losses suffered due to the breach. Visit the Equifax site and click on the link to www.equifaxsecurity2017.com. Click on the ‘Potential Impact’ tab in the menu bar to see if your information is affected. You will be prompted to enter your name and the last six digits of your social security number. Do this from a secure computer. The screen will tell you whether your information was comprised in the breach, and will guide you to the free credit monitoring service. Check your information with the major credit reporting agencies for free at www.annualcreditreport.com. Make sure no unauthorized accounts have been opened. Consider putting a credit freeze or fraud alert on all of your files. Check credit card statements and financial accounts closely for fraudulent activity. File your taxes early this year, before scammers have the chance to steal any refund you may be entitled to. To find out more about the breach and how it could potentially impact you, contact Cavallo & Cavallo. 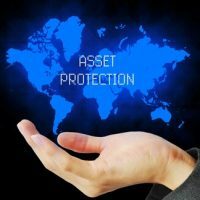 We can arrange a consultation with our experienced New York asset protection attorney, who can guide you on the actions you need to take in your situation.